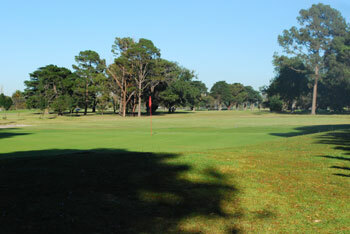 Golf has been played on the Albert Park site since the late 1800's. In 1948 Lakeside Golf Club (LGC) was founded and incorporated in 1998. Lakeside Golf Club Inc is one of 60 member clubs of the Victorian Golf League and is affiliated with Golf Victoria. LGC currently enjoys its Clubhouse facilities on course at the Greenfields Restaurant and Bar overlooking Albert Park Lake and the city skyline. LGC membership comprises male and female golfers of all ages whether experienced or just beginning. Our comprehensive syllabus offers a range of competitions which are conducted every Saturday and Wednesday throughout the year. There are events such as the Monthly VGL and Ladies Medals, President's Cup, The Captain's Trophy, Club Championships and Match-play Championship which are all keenly contested by our members. In addition, members participate in various LGC and VGL sponsored competitions at other courses across the Melbourne Metropolitan area. Each year the club organizes the Murray Trip which regularly attracts about 70 members and friends. Member and club sponsored trophies are awarded each Saturday and Wednesday including prizes for ball-comp, nearest the pin and putting competitions. Our club welcomes visitors and guests to play in both our Saturday and Wednesday competitions with the exception of qualifying events. E.g. Major Events. The Club is dominant in VGL Pennant. We are the VGL 2016 Division 1 Scratch Champions and our Scratch team has won for the last 11 years in a row (including the last 7 in Division 1). Our Senior team were winners in 2013, 2014 & 2016, and fielding two teams for the first time, both Seniors teams were winners in their separate divisions in 2017. Our Ladies team won the B grade title in 2014 & 2015. Our handicap team were recent winners (2012). LGC teams competed in all four finals in 2015 and have won a combined total of 25 VGL Pennant Premierships since 2003. LGC encourages its members to consider qualifying to represent the club in one team or another. All LGC members are allocated official Golf Australia(GA) handicaps through the GolfLink system. These handicaps are updated following each competition round. Having bona fide handicaps allows LGC members to legitimately participate in any GA affiliated golf competition anywhere in Australia.